When I created this amazing recipe I wasn’t sure what to expect and like most home cooks and chefs, I hope for the best. 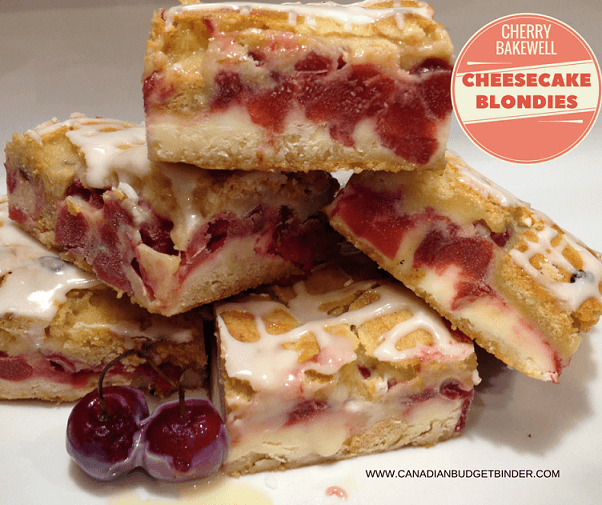 Some recipes fail, many taste great and others like these Cherry Bakewell Cheesecake Blondies will send your taste buds into overdrive. 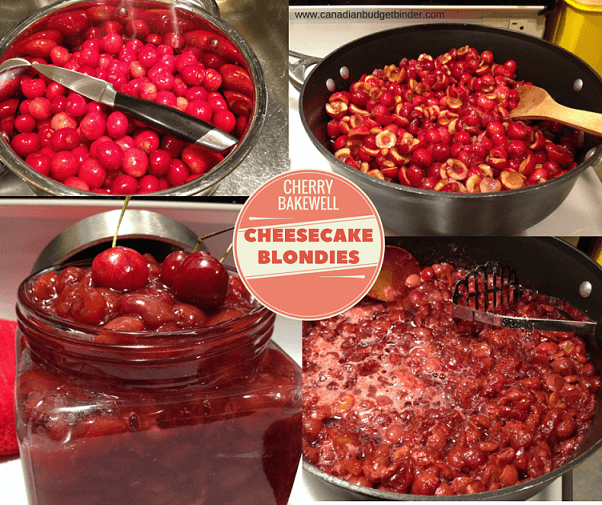 Once the Cherry Bakewell Cheesecake Blondies cooled down and I took a bite I instantly knew what they reminded me of, a Cherry Bakewell Tartlet. I’ve had both the tartlet and the Cherry Bakewell Cake which I’ve seemed to combine into this very recipe to produce these blondie bars. 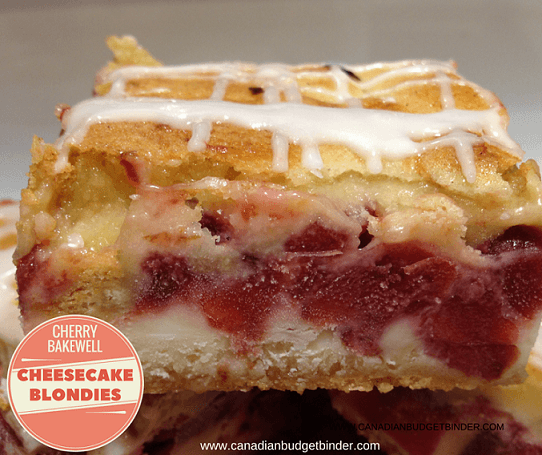 Back in England everyone knows what a Cherry Bakewell is and since moving to Canada I miss some of the traditional sweets my mum used to make which I can’t buy over here. It is with great honour that I share with you this flavourful treat which you can have as a snack or dessert after a meal. 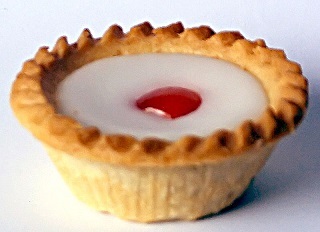 You’re probably wondering what a Cherry Bakewell is? I remember going to the supermarket with my mum and there would always be a stop off at the bakery where my favourite Cherry Bakewell Tarts would call out to me. My mum didn’t believe me but I managed to get one bought for me every time. I found a wonderful recipe for the Cherry Bakewell Tartlets over at dianasdesserts.com for those of you who want to check out the traditional Cherry Bakewell. A Cherry Bakewell is a small cake, covered with a top layer of icing and a single central half glacè cherry, also known as a Bakewell Cake. Although I didn’t use ground or flaked almonds in my recipe you will taste the almond flavour as I used almond extract to bring out the homemade cherry pie filling. We were given another huge box of organic cherries this year from my father-in-law. I cleaned and pitted them once we got them home and needed to do something with them. One of the greatest inspirations for this recipe came from the Happy Birthday Cherry Cream Cheese Bars over at Inspired by Charm. Once I read the recipe I wasn’t convinced that it would be gooey enough because I’m not a fan of dry cakes, cookies or bars so out came the condensed milk. My recipe turned out more like a brownie bar hence the blondie attribution with a thick cream cheese filling topped with a sweet homemade organic cherry pie filling. 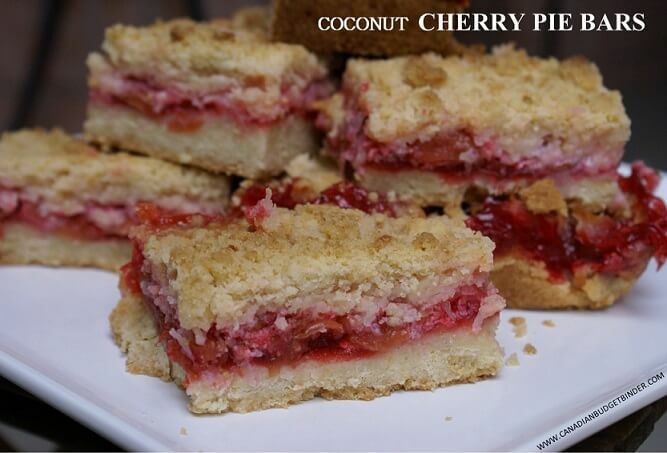 Last year I made a coconut cherry pie bar which is similar to the Inspired by Charm recipe although they both share unique qualities. Like the coconut cherry pie bars I also combined condensed milk into the Cherry Bakewell Cheesecake Blondies for depth of flavour. For the Cherry Bakewell Cheesecake Blondies I made some changes to include my shortbread base, homemade pie filling and the addition of extra almond extract plus a can of condensed milk and whipping cream. The condensed milk replicates the frangipane. My wife has no idea what a Cherry Bakewell tastes like and since she’s not a sweet treat lover she told me I better stop eating them before I eat them all. 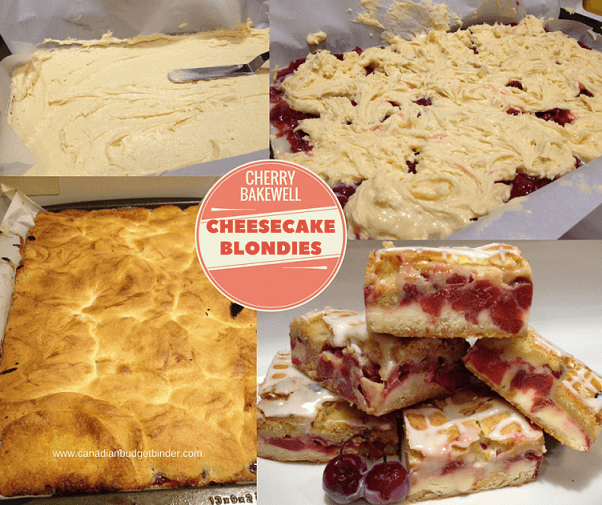 That’s how good these Cherry Bakewell Cheesecake Blondies are. Over the top I made a simple glaze which I use on just about anything I bake that requires glaze by mixing almond extract, vanilla extract, confectioners sugar and whipping cream. Cherry Bakewell tarts have been a favourite in the UK for many years and now I've created that same great taste but in the form of a blondie bar. Cherry Pie Filling- Either make it homemade *See recipe link in post or have your cherry pie filling ready to go. In a 9x13x1 Cake pan line it with parchment paper all the way up the sides. The reason for this is so you can easily cut the bars once they are frozen. Take 3 cups of the Blondie Base and spread it with an offset spatula or greased spatula on the bottom of the pan. In your stand mixer add the softened cream cheese, egg and sugar then mix until fluffy. Add the entire cheesecake mixture on top of the Blondie Base and spread evenly. On top of this add your can of condensed milk followed by your cherry pie filling. Using the remainder of the Blondie Base on the top layer. It's easier to drop it then spread it but using your offset spatula again you can even out the top layer as seen in my photos. Don't get too worried about perfection here. Bake in your oven for 35-40 minutes or until golden brown. My pan started to brown fairly quick so I put a sheet of aluminum foil over top for the last 10 minutes until it was cooked through. You don't want a burnt top. In a small bowl add all of your almond glaze ingredients. Using a sharp knife cut your Cherry Bakewell Blondie Bars into even squares. Serve at room temp or cold depending on what you like. Store in your freezer up to 2 months. I didn't add freezer time to the cook time but please note this so you plan ahead. 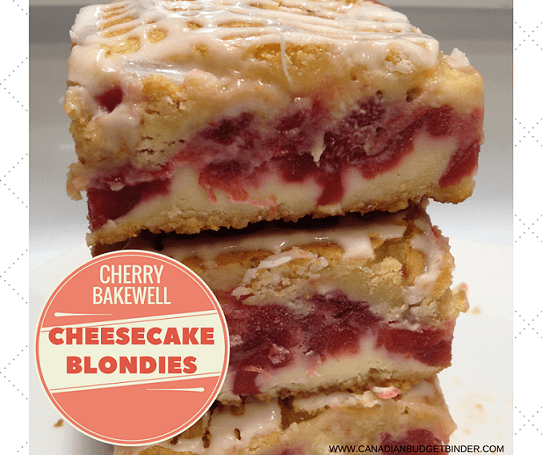 When I served myself one of these Cherry Bakewell Cheesecake Blondies I washed it down with a cold tall glass of milk. I’ve also had one with my evening cuppa tea and some homemade vanilla ice-cream. Note: I used a cake pan for this recipe however if you have a large baking sheet with a 1 inch depth you can make the bars thinner and cut more in the batch.